This January the Porter Mill gallery is very pleased to be featuring one of our best, Sadie Dayton and her wonderful photography in "Sillage". Sadie Dayton honed her craft at the School of Visual Arts (BFA) and Endicott College (AS) graduating with high honors in photography from both. Born on the New England coast her inspiration comes from the transient elements of nature. Drawn to the stark beauty within Japanese aesthetics she too melds elusiveness, simplicity and innate energy. Her evocative images treat landscapes as a portrait and a portrait as a moving force. Sought for her emotive images and representation of femininity her clients include fashion, beauty and jewelry companies. Her portraiture has appeared in W, Vanity Fair and the New York Times Magazine. Her editorial and commercial work has taken her on location in Europe, Central America and the Caribbean. 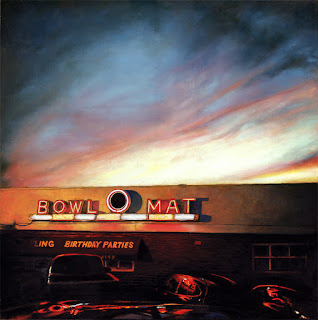 Dayton has exhibited her fine art photography in galleries in Boston, New York and Tokyo. Mono no aware is a Japanese phrase used to describe the beauty of an ephemeral thing. Transience underpins Sadie Dayton’s current work entitled, Sillage. The word connotes fleeting sensual experience – the scent that lingers in the air, the trail left in water, the impression made in space after something or someone has been and gone. Dayton creates visual haiku. Her poetic images offer us the intangible and evanescent with layered textures of fabric, dye and soot. She gracefully conveys vulnerability and strength. Our imagination is engaged by her nuanced gestures and we are invited to complete the cycle with our own envisioning. Inspired by fellow artists who have captured illusiveness with a similar devotion to her own she notes the words of Anais Nin, lyrics of Leonard Cohen and the Icelandic music of Sigur Ros. Featuring the excellent photography work by Sadie Dayton the opening reception with also include a live dance performance in Sadie's studio by Boston dancers Maz and Django in a piece collaborating with musicians Jared & Noni. at private events and concerts. Jared & Noni will be collaborating with dancers, Maz and Django in their new performance piece for the reception, 'Ghost Note' fusing fashion, movement and fluid grooves with the photography by Sadie. "Sillage" will be in our main gallery at the Porter Mill this January 7th 2016 to February 6th with our reception being held on Thursday February 4th from 6pm to 8pm. Free wine and refreshments will be served in the gallery along with a live musical dance performance in Sadie's studios located next to the gallery. Mark your calendars and come down to the Mill this January! 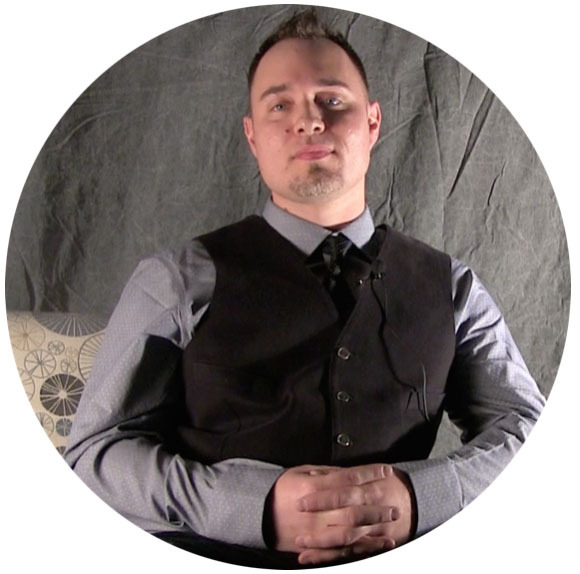 Andrew Houle is one of our resident artists here at The Porter Mill who curated our September show Urban Romantics as well as our show from October, ABOVE/BELOW/WITHIN, which he also contributed work to. We got a chance to sit down with him and learn a bit about his life, work, and how this show came together. Growing up in the 80s, Andy became fascinated by cartoons and comic books and quickly realized he had a talent for drawing them himself. By his Junior year of high school, he began taking advanced placement art courses, and soon enough, he began thinking about which college he might want to attend to pursue his passion. When asked how he decided on Montserrat, Andy said, “I blame Dave Ferreira”. While at Dracut High School Andy met Dave, a current instructor at Montserrat, through mutual friends. “He was by far the best…he could draw comic books the best out of everyone in high school. And it wasn’t even close. What he could do seemed so unbelievable that we idolized him and I found out when he graduated, he went to Montserrat for college. Just knowing that Dave went here, truthfully, is what made me originally look at the school” Andy said. Although it was a tough choice between Fine Art and Illustration, Andy ultimately chose Illustration as a concentration at the end of his Junior year at Montserrat. Interestingly enough, he says his professional work doesn’t have a lot to do with being an illustrator (since most of his works are oil paintings), however, he wouldn’t change anything about his career path. During his time at Montserrat, Andy, like many who visit Beverly, fell in love with this “coastal town that really embodies New England and has such a great sense of community, with music and galleries, and all the culture up here” Andy said. Not long after he graduated, Andy found an apartment in Beverly and began working out of a studio in Lynn. His everyday commute from Beverly Farms to work, then to Lynn to paint at the end of the day, became exhausting. One day, as Andy was driving down Rantoul Street, he saw a banner at Porter Mill Studios advertising studio spaces. Andy immediately pulled over and ran inside to meet the Gallery Director; he inquired with the director of the gallery about renting a space. Andy didn’t know much about the former RedBrick Art Center other than the fact that many talented artists had worked out of these studios. 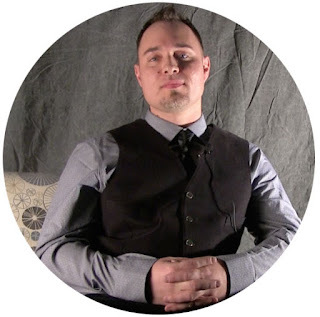 That, along with his discovery that there was an open studio space in such a convenient location (three blocks away from his current home), was enough for him to decide to join this new community. Over the past four to five years since he’s moved in, Andy had a variety of studio-mates. His first studio was shared with two of his friends. When they left and he wanted to stay, he knocked on the door of jewelry maker Jesse Dangers’ studio and said “hey, you don’t have anything on your walls, do you mind if I move in?” Although they weren’t aware of it at the time, Andy and Jesse had been renting studios in the same building in Lynn before they moved to Porter Mill. The two realized they had more in common than they thought and quickly became friends. During his time at Porter Mill, Andy has gotten to know many of his neighbors. “The community here is fantastic” he said of the Porter Mill; “The community here is so good, that I get absolutely no work done when I come here. I tend to come in and most of the people here I’ve met are so warm, friendly and welcoming that you end up wanting to catch up with them like they're your friends. Which I think is the best part about this building, coming in and seeing a lot of the people that are doing all of the same things that you're doing; they're trying to find success as an artist, and they're trying to further their career.” Although sometimes he finds it hard to be productive in such a social environment, Andy clearly finds a way to focus on creating his rich, luminous paintings. He seems to have found the perfect place for his practice to call home, he said, “unless they throw me out of here, I’m never leaving”. “Lauren is sort of the glue of the exhibition, where we are exploring a range of approaches to the landscape and interpreting landscape. I admittedly am on one end of the spectrum, as I guess a Realist, although I’m not super comfortable calling myself a Realist. Although I guess if I was to fit into a category, it would be sort of American realism. It doesn’t appear that way, but I’m trying to not actually be an American Realist. I think Loren is really the bridge to Morgan’s work next, then George’s work, then at the opposite end, Anthony’s work, where interpreting landscape really breaks down to abstract shape and form, push and pull, and mostly dealing with colors that you find in landscape, and line, and it’s a gorgeous show, I’m really proud of the show and all the work everybody put into it. There was too much really, really wonderful work that came into the show and it was difficult omitting some of the pieces”. Season's greetings it's close to that time of year again! 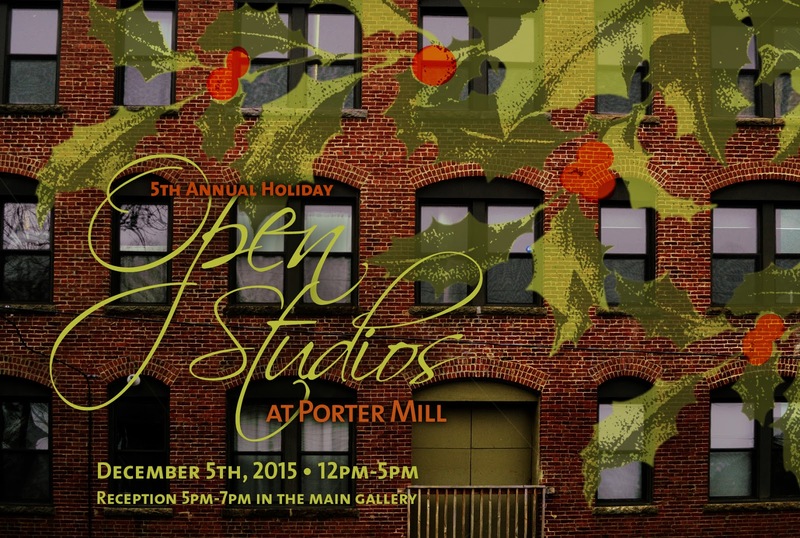 And this year at the Mill we'e got our Holiday Open Studios in full force this Decemeber. 4 floors of 45+ artists will have their studio doors open to the public for business. Doors open at 12pm to everyone interested in check out the studios and gallery. Painters, photographers, craftmakers, and scultpters will be selling that special something for your special something all day ending with a reception at 5pm in our main gallery celebrating the day and our 5th Annual Small Works Show with live music and free wine and refreshments. 20+ artists submitted their tinest pieces to one of our most exciting and affordable shows. Come on down to the Mill! Check out this event on Facebook! For more information check out our submission forms here free for download and submitting! Exciting news at the Porter this month! We're proud to say that we're apart of the Beverly Arts District Tour Citywide Open Studios this Saturday October 17th, from 12pm to 5pm we'll have our doors open to the public of Beverly welcome to everyone! 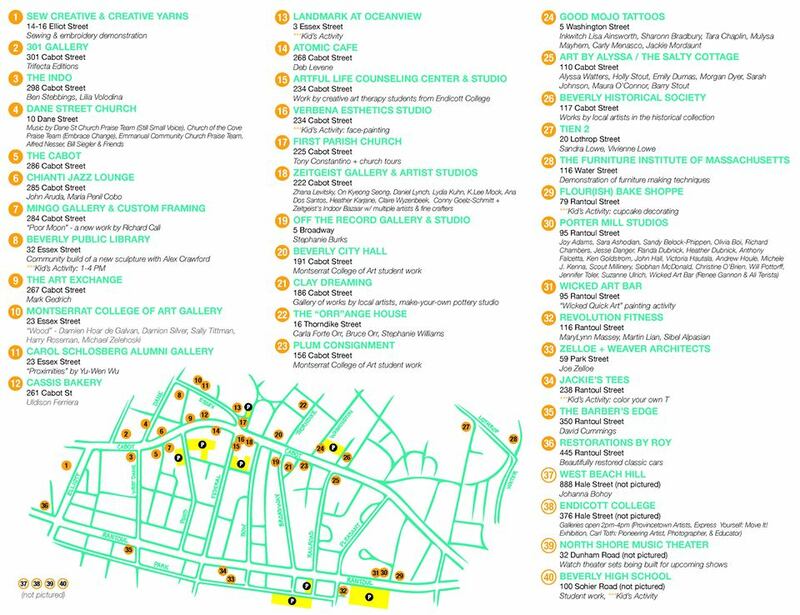 Over 45 artists will have their studios open for business along with live art and music in our main gallery on the first floor, with free food and refreshments through out the day. While in our main gallery as well please check out our newest show the fantastic "ABOVE / BELOW / WITHIN". Showing in the gallery this month an exhibition of five North Shore painters exploring the landscape. Featuring the extremely talented work of Morgan Dyer, Anthony Falcetta, George Frary III, Andrew Houle, and Loren Doucette all in the Porter Mill. Each artist bringing in their own interpretation of the landscape. With an artists' reception this Thursday October 22nd from 6pm to 9pm in the main gallery. Fall might be on it's way along with some back to school blues but the month of September has some great paintings coming into the Porter Mill Gallery! With our exciting new show "Urban Romantics". 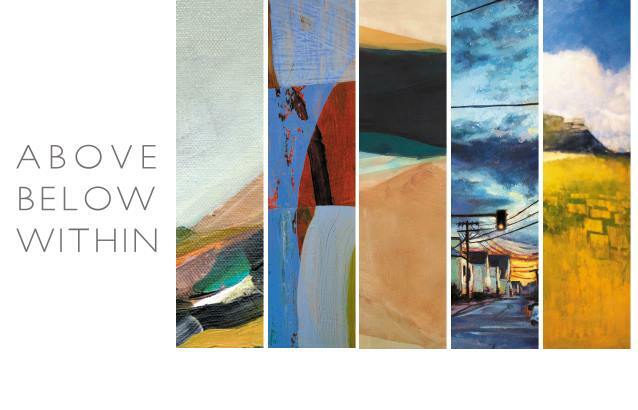 Featuring the work of local painters Adam J. O'Day, Markus Sebastiano, Derek Wakeen, and Ben Stebbings. 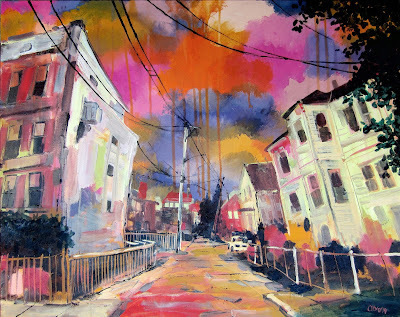 Each artist bringing their own perspectives and interpretations of the urban landscape through paint. "I've been known to paint some expressionistic and impressionistic views of famous cities around the world, especially Boston. I'll throw the occasional fantasy-based painting in there for my own enjoyment too. 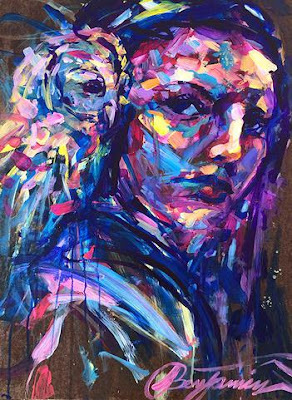 However you slice it, I'm painting our world and worlds existing in my mind the same way, with gestural, expressive emotion." "In the past few years, I started to focus on painting what a scene feels like, not necessarily what it literally looks like. So there would be elements of reality, mixed with elements of other worlds, dreams and nightmares. When painting a landscape, I'll sketch from life, use pictures and then work from memory. 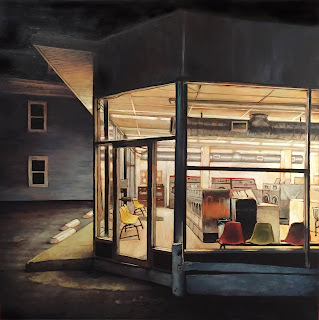 Things look familiar, but they seem like a memory, because I always put the finishing touches on a piece without focusing on what it looks like; I portray what it feels like, what I remember about it." "Now in 2015, I have a slightly new plan. It's an amended plan to what I have been up to in recent years. I'll take this "paint what you feel mantra," and add a new perspective. I want to paint everyday urban scenes that have some familiar subject matter, but painted through the eyes of someone from another dimension. I'm using color as value. I'm using alien color schemes. I'm abstracting scenes more. I'm not limiting my decision making to stay within the boundaries. In short, when I have an idea, I paint it without a second thought. The first idea is always the most exciting." Born in Lawerence, MA in 1979. He received a Bachelor of Fine Arts with a concentration in Graphic Design in 2004 from the University of Massachusetts, Lowell. Markus specializes in Digital Printing, Mixed Media, Photoshop Layering, Digital Photography and Metal Fabrication. Over the past year, Markus has been developing one-of-a-kind techniques now being showcased in his currents works. His use of photographic prints overlaid on plexiglass and combined with repurposed materials such as wood, metal, and recyclables, make for truly exceptional finished pieces. He has been described as a contemporary artist giving meticulous attention to detail all while continuing to push the boundaries with each exclusive work of art. 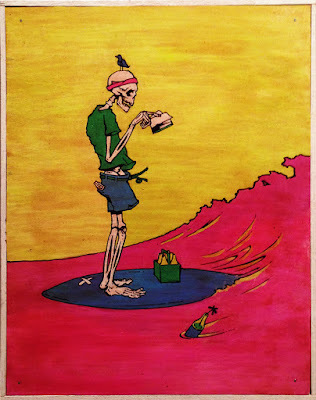 In 2014 Boston creative Derek Wakeen released his debut album The Daze End under the moniker Olli Brix, and has since formed the ongoing fictional story of Olli through his music and illustrations. In one word, Olli’s an enigma – he can be seen in odd places, drinking booze, and thinking, but pushes the viewer to live vicariously through his humble experiences as he scours the earth looking for meaning in this unfamiliar world. The paintings and illustrations of Olli are typically scrappy, textured, yet refined and otherworldly – which could be said the same for his music; gritty instrumentals produced from acoustic and analog recordings meant to put the listener in a distant thinking place. 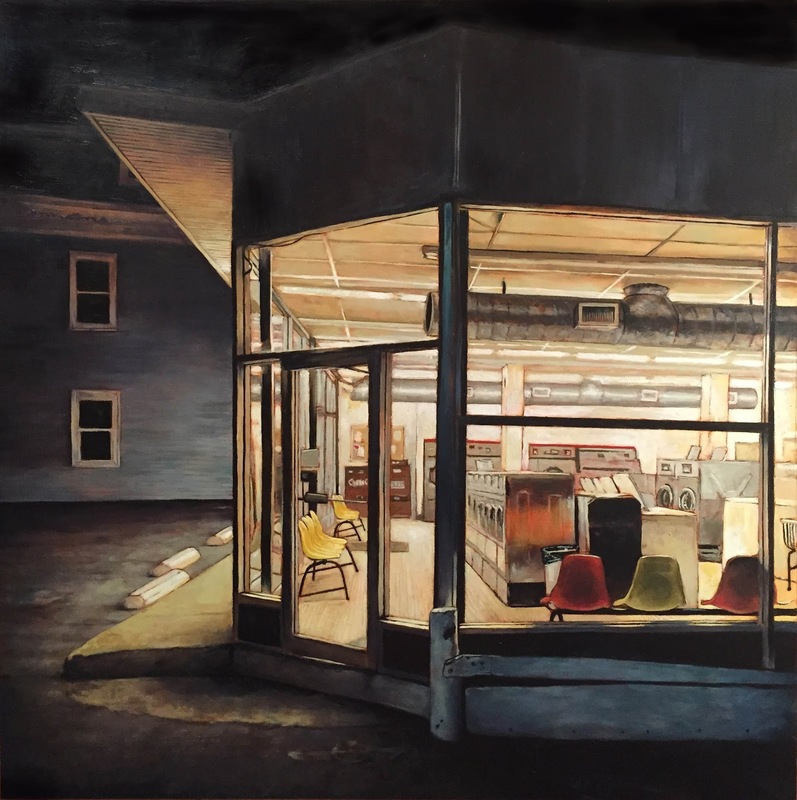 In 2014 he teamed up with Markus Sebastiano and TNERT for the INSIDE OUT art show – kicking off his debut exhibit at the Essex Art Center in Lawrence. In 2015, as a follow-up to The Daze End, the Future’s Bright EP was released, which now streams across Pandora, Spotify and other major music channels. Benjamin Stebbings studied at the Art Institute of Boston and Montserrett College Of Art, graduating with a BFA in Fine Art with a concentration in painting. His work spans many different mediums and techniques, applying influences from one to another. Benjamin's recent works focus on the organic process of painting. With a new body of work inspired by nature, Benjamin embraces the organic process. His pieces are characterized by striking color and bold brush strokes that capture the essence of the subject. 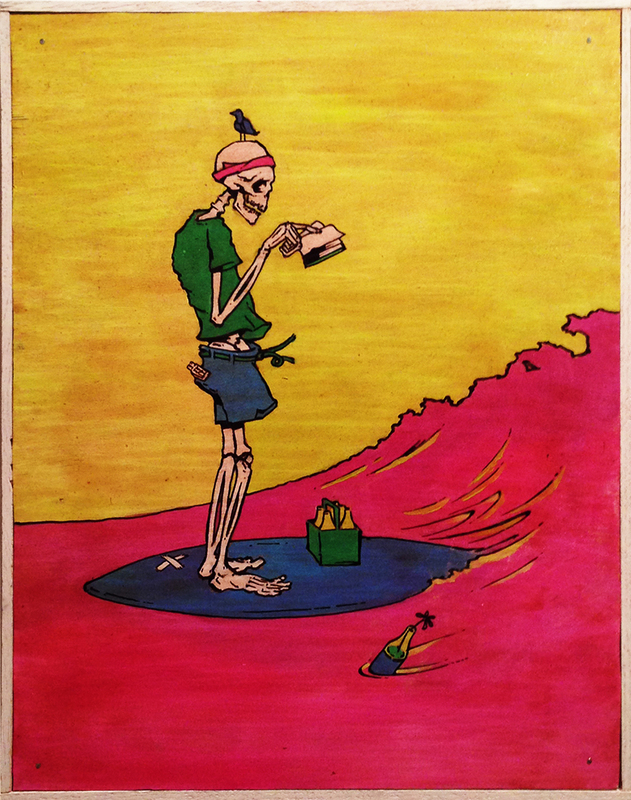 With guest curation by local illustrator/artist and Montserrat College of Art alumni Andrew Houle. The show will be up this upcoming September from the 3rd to September 29th with an opening reception September 17th from 5pm to 8pm. Wine, Food, and excellent art in the gallery. 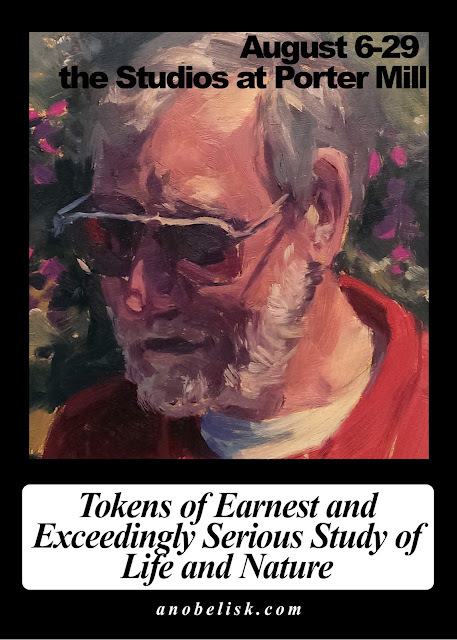 Porter Mill Presents: "Tokens of Earnest and Exceedingly Serious Study of Life and Nature"
The newest show coming up in August comes from the extremely talented RISD graduate Daniel Chang Christensen. An amazing painter who will be displaying his new work in August at the Studios at Porter Mill. Working in Oil and Acrylic paints to create wonderful pieces of his studies and observations of life. 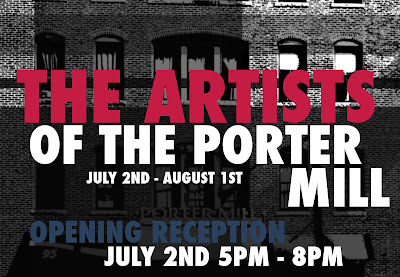 Be sure to check out our most recent event in the Porter Mill Gallery "The Artists of the Porter Mill" open now! 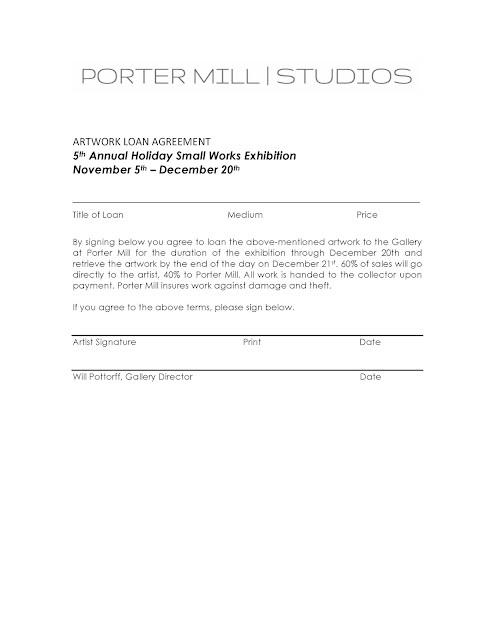 Come see the collected works of the artists of the Porter Mill Studios. Painting, Drawing, Photography, and more all in one show displaying the talented work of our resident artists of the Porter Mill. It's that time of year again! Porter Mill is celebrating its 5th annual Summer Open Studios on Saturday, June 27th, from 11 AM - 4 PM. 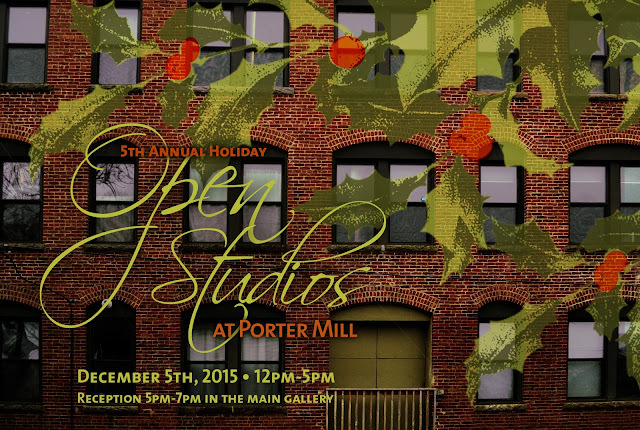 Porter Mill will open its doors for a day-long celebration of the 50 artists who work in the building. 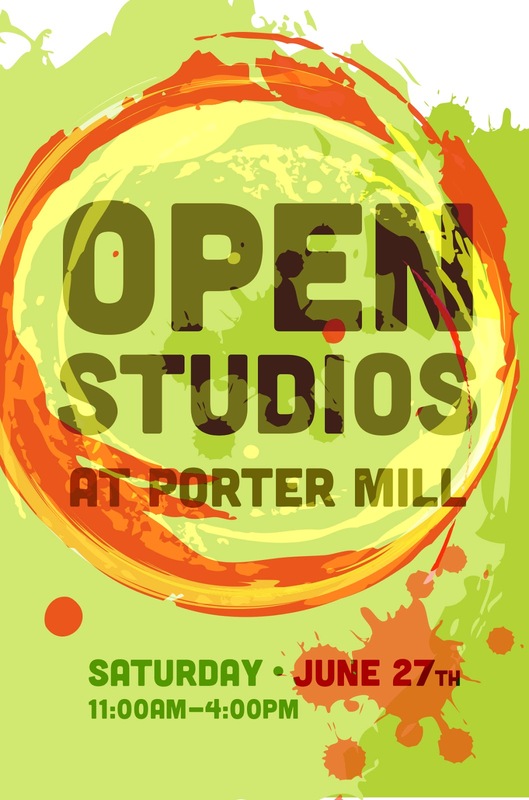 The public is invited to view the studios, meet the artists, and purchase unique, locally-made gifts for summer! 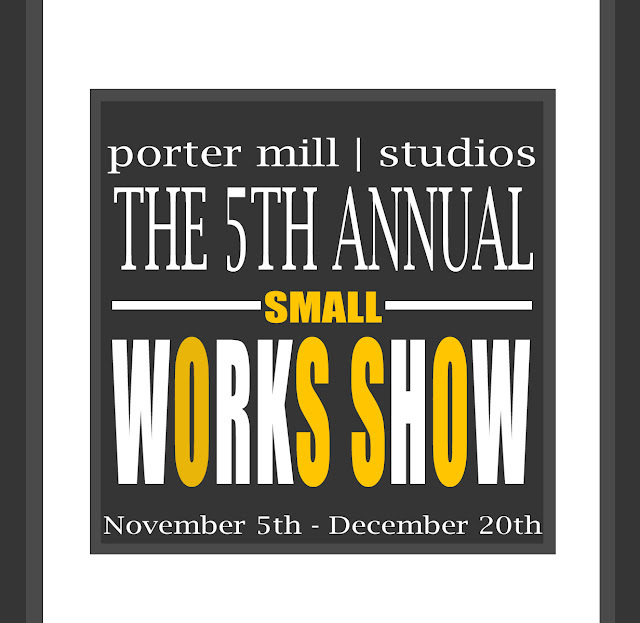 Porter Mill is home to painters, photographers, jewelers, ceramists, and more, so there is sure to be something for everyone. The day ends with a celebration in the Gallery from 4 - 6 PM, featuring live music, food, and fun! Along for the event this year in the Gallery is the very talented Eyeformation and Hazel Eyes Studios with their "Eye For an Eye" Show. This show will feature solo work from Eyeformation and Hazel Eyes Studio, as well as their collaborative work that won them the featured piano for Play Me I'm Your's, Street Pianos Boston ... plus new collabs! They will featured this year with a Pop Shop selling merchandise in the main gallery! Montserrat College of Art Senior Shows: "Así Es Como Yo Lo Veo"
Our last Senior Thesis Exhibit is upon us featuring some extremely talent work from two excellent painters. 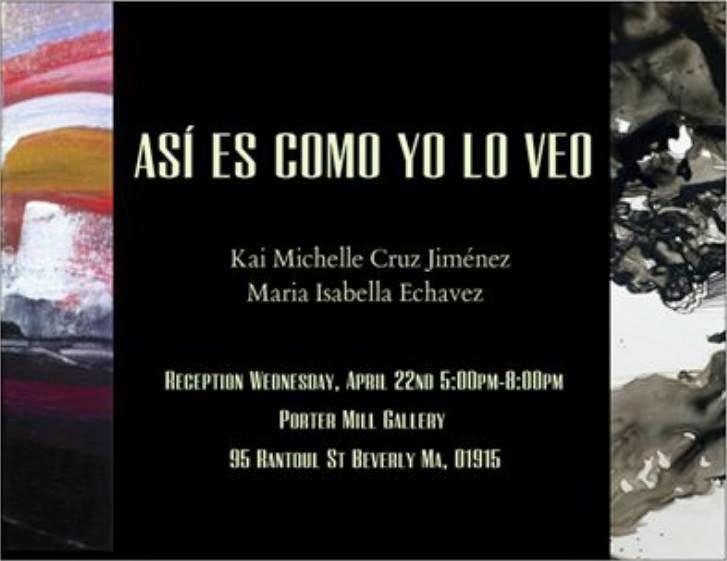 Porter Mill Gallery and Montserrat College of Art is proud to present Así Es Como Yo Lo Veo, featuring Montserrat students Kai Michelle Cruz Jiménez and Maria Isabella Echavez. "Así Es Como Yo Lo Veo" translates from Spanish to English as "This Is How I See It." The works of Kai Michelle Cruz Jiménez and Maria Isabella Echavez sit side by side in this exhibit representing the middle ground that they occupy between language and culture. The nature of the mediums are seen prospering in both Cruz's ink works and Echavez's paintings. A connection to the natural is undeniable and can be seen in the organic forms and lines that are involved in this show. Kai Michelle Cruz Jiménez, a Puerto-Rican artist raised in Lowell, Massachusetts works exclusively with ink on yupo. Focusing on openness and allowing the reactions of the ink to the paper lead her through the piece, she creates a place. These places rely heavily on gradients and mark-making, and they differ from full greyscale works to works with a hint of color. Large, looming, amorphous forms sit on a paper 5’ by 11’ while other forms sit in much smaller spaces of 5” by 6.” Each of Cruz’s works welcomes the viewer to this inherent feeling of neither here nor there. Maria Isabella Echavez is an Argentinian-American artist born in California and currently based in Portland, Maine. Traveling between coasts and being an avid sufer; the ocean is the underlying influence in Echavez’s work. Working in exclusively water-based media, she creates paintings that play with fluidity and spontaneity. 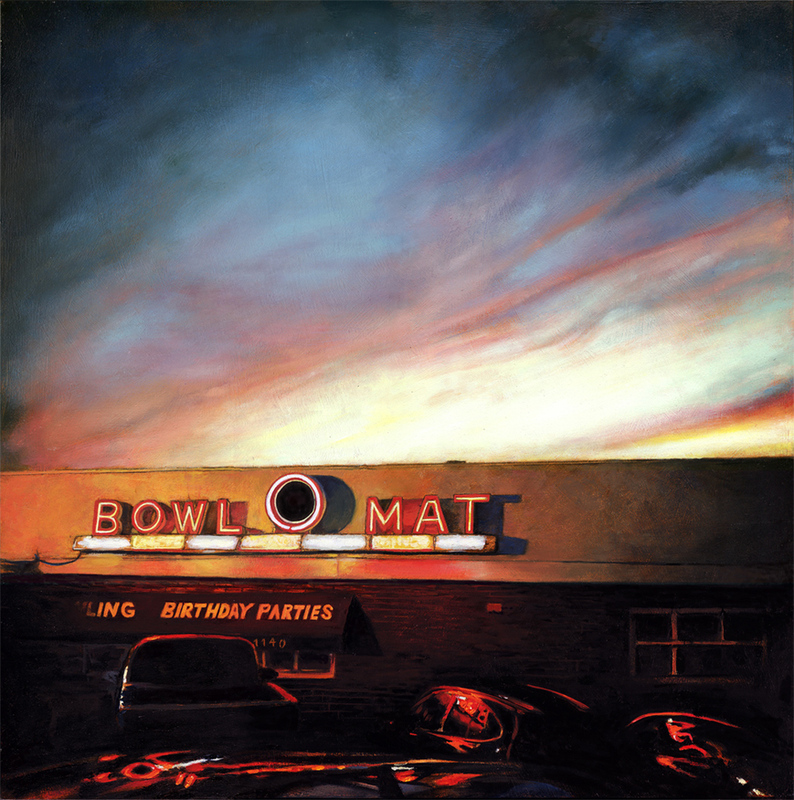 Color, light, and space are all carefully examined in her art. These works exist on large, raw, unstretched canvas in order to limit the paint to a specific composition or predetermined structure. Over all this is a series of works that demonstrate Isabella's experimental approach to painting. Both artists challenge themselves with scale and expand the gallery space with large and small works. The artworks of their final year at Montserrat College of Art encompass both their growth as artists as well as their life experiences. Familiarity and strangeness exists in how each of their discrepant roots communicate and this communication and place of being is expressed harmoniously in their work. "Así Es Como Yo Lo Veo" will be on view from April 22nd to May 2nd. 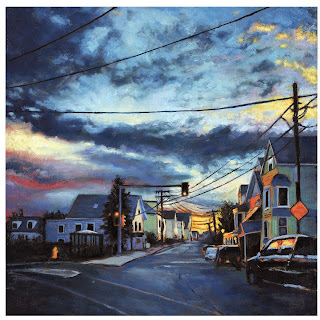 The opening reception will be held on Wednesday, April 22nd 5pm - 8pm at the Porter Mill Studios in Beverly, MA. Montserrat College of Art Senior Shows: "To Whom It May Concern"
Spring is finally upon us after a long winter with warmer weather coming soon, but the Montserrat senior thesis exhibitions are coming up now this April at the Porter Mill. The first one of two this month is Corinne D'Orsi, Melissa McGinty, and Melanie Simpson's "To Whom It May Concern". Each artist explores subject matter that is much too difficult to confront or reveal without the use of a vehicle such as photography. Their work conveys powerful expressions of emotion, bringing the viewer along for the ride. Concerning the balance of her conscious and unconscious mind, D’Orsi creates a collection of work in which her desires play a large role. Her photographs have a soft, illusory atmosphere, inviting the viewer to step into her dream-world, where the impossible becomes possible. With landscapes that are unfamiliar, and portraits that are mostly unrealistic, she finds a balance between subtlety and the romantic. In doing so, D’Orsi awakens feelings of desire, freedom, and attraction, in an idealized view of reality. Combined with her installations, which explore the physicality of these emotions, an environment unfolds where one can truly experience her subconscious. Through photographs and handwritten text, McGinty explores the healing process that occurs when being faced with the loss of a loved one. Her photographs of black and white landscapes document the physical journey she is taking, while creating a new association with each location. By reclaiming these locations in this way, she is able to move on from the memories that she wants to forget. Pairing the photographs with the text of her own lingering thoughts after someone has left helps to enhance the experience that McGinty is leading you through. that the healing process is not just about moving forward, but sometimes having to take one step forward, and two steps back, to inevitably get to a point of feeling whole again. Her work is showing her own journey out of the darkness and into the light. To Whom It May Concern will be on view from April 8th - 18th. The opening reception will be Wednesday, April 8th 5pm-8pm at Porter Mill Studios in Beverly, MA. The New England Brass Music Studio of Porter Mill is proud to present a trumpet recital featuring the students of Jay Daly. You are invited to check out this wonderful and exciting trumpet playing on April 4th at 12pm in the Porter Mill Gallery. 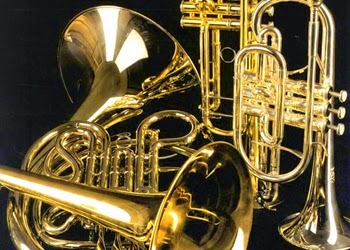 It will feature many different ages, levels and styles of the modern trumpet. Reception with refreshments to follow. Be sure to join us this Saturday! 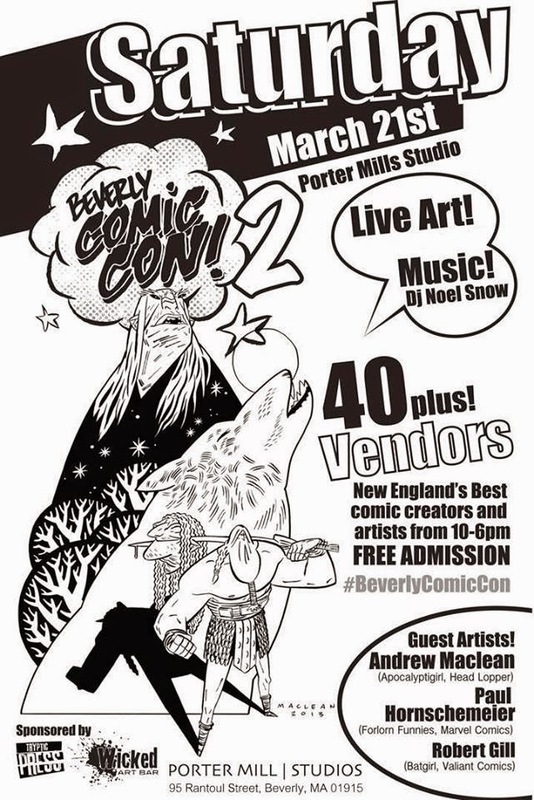 Join us on Saturday, March 21st for the second Beverly Comic Con hosted at Porter Mills! Free to the public and jam packed with local comic creators and unique vendors. Original art, posters, prints, handmade collectibles, t-shirts, graphic novels and of course comic books, will all be on hand for this one of a kind event. Guests of honor include Andrew MacLean (Apocalyptigirl, Head Lopper),Paul Hornschemeier (Forlorn Funnies, Marvel Comics) and Robert Gill (Batgirl, Valiant Comics). FULL LIST of artists & vendors include: Amanda Beard, Andy Driscoll, Ben Donahue, Shelli Paroline, Braden Lamb, Chris Letarte, Christian Miller, Daniel Kern, David LeBlanc, Eric Boeker, EyeFormation, Omega Level, Jacob Carignan, Jason Casey, Dennis Burke, Joe DellaGatta, Jon Paddol, Joe Haley, Josh Morrissette, Adam Miller, Montserrat Illustration, Robert Van Wagner, Keith Gleason, Matt Mcguirk, Michael Doherty, Patt Kelley, Randy House, Tom Torrey, Harrison's Comics, Andrew Houle, Jesse Danger, PressBound, Michael Crockett, & John Cardinal. Alongside our new friends at Wicked Art Bar, our old friends at Montserrat College of Art and the gang at Tryptic Press, we hope to put on a killer event of comics, art & pop culture! Plenty of parking across the street & super kid friendly. 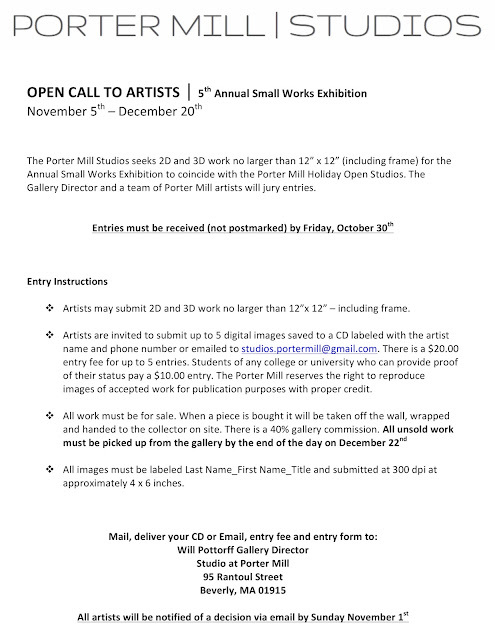 The Gallery at Porter Mill, located at 95 Rantoul St. in Beverly, is open from 5 - 7 on Thursday and Friday, and 12 - 4 on Saturday and Sunday. 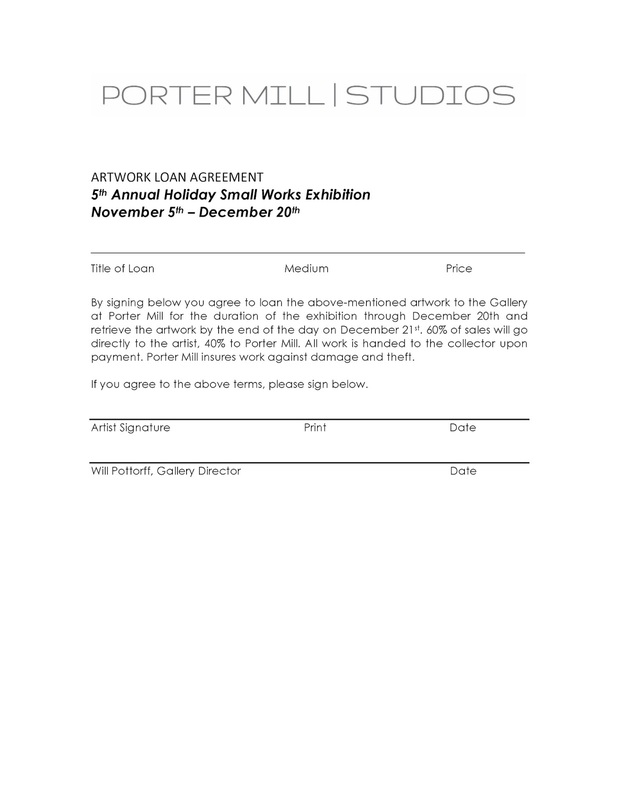 For more information about Porter Mill, visit www.PorterMill.com.